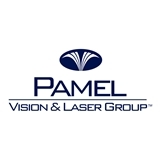 Pamel Vision and Laser Group (Astoria) - Book Appointment Online! New York LASIK Specialist Dr Gregory Pamel is a fellowship trained corneal specialist who has helped thousands of New York LASIK and Cataract Surgery patients to obtain better vision. He performs a wide range of vision correction procedures at his Upper Eastside Manhattan LASIK Center. Please be aware of our Cancellation Fee Policy. To avoid a $35.00 cancellation fee we ask that you notify us one day prior before 3:00 pm to cancel or make changes. WE DO NOT ACCEPT VISION PLANS. You may call the office to verify if we participate with your insurance plan. We ask that you arrive a few minutes early to fill out forms or you may fill out the forms attached here on ZocDoc. If you have the capability to print your check in forms please do so and bring them with you the day of your appointment to save time. Dr. Burmy was a true professional. She was courteous and knowledgeable. Unfortunately the wait time was very long. The office should reconsider its appointment-booking process in order to avoid patient backlog. Very professional doctor! The visit was short and to the point. He examined my eyes very gently and skillfully. I left with a quick diagnosis and a prescription sent to my pharmacy for my dry eye problem. Overall, I'm very happy with this doctor and my visit. I had a bunch of tests and Dr. Butler was very thorough and explain every step of the way.